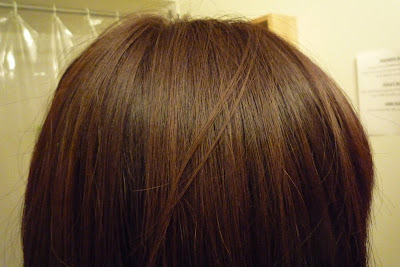 I'm surprised my hair looked healthy, I didn't think it was at all XD Hmm...hair secrets..I think it would be the Fekkai product. I remember last year my hair was dry and prone to breakage and split ends. 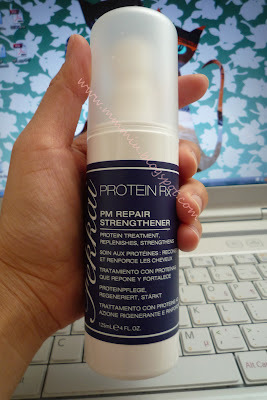 When I came back from Korea, I bought the Fekkai Protein Rx PM Repair Strengthener $84CAD. I already did a review of this a while ago. I haven't really been consistent in using it because I keep forgetting. I think in the past 3 months or so, I've only used it 2-4 times. I use about a quarter size and it's definitely helped in strengthening my hair, especially during the dry winter months. Another thing I do with my hair to try to keep it healthy is use a ton of conditioner. I go through conditioner really quickly, so it's good to stock up at Costco. After I shampoo my hair, I get a big glob of conditioner and fully saturate my hair and leave it there while I shower. I do this every night only because if I do it in the morning, my hair gets flat from the conditioner. I think that's my secret to healthy hair? I'm currently using Pantene, I used to use Herbal Essences but it wasn't moisturizing enough. A week later and the color has faded a bit, but it's still noticable. Loving the Lunasol Coral Pink at the moment! 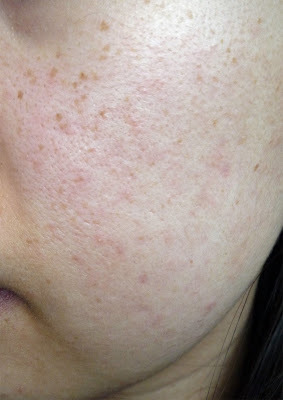 This is such a delayed before and after picture of my cheeks with the Clarisonic. I use the brush at night only. Before, taken March 1. 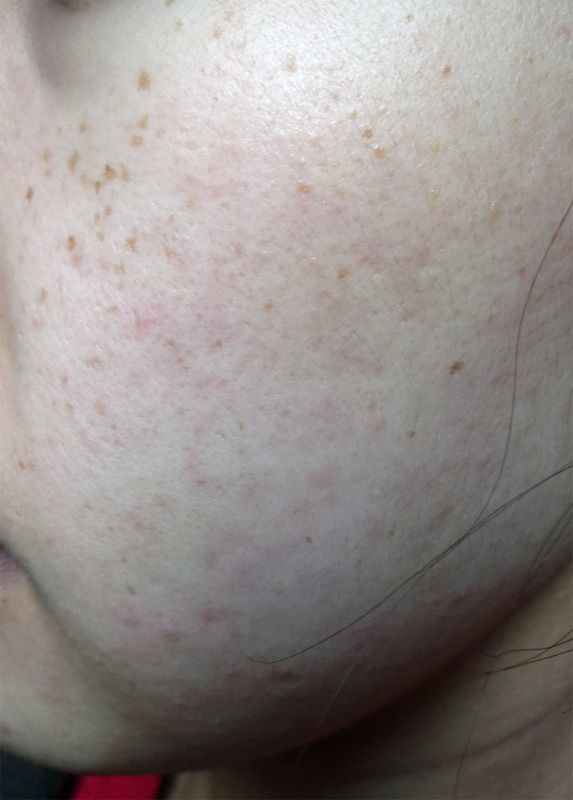 Pores are visible and enlarged with uneven texture. After taken April 16. 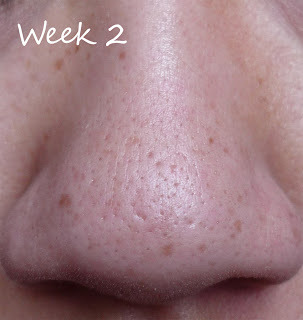 Pores a bit smaller and skin smoother. My skin didn't get lighter or anything, I edited the picture a bit to enhance the visibility. 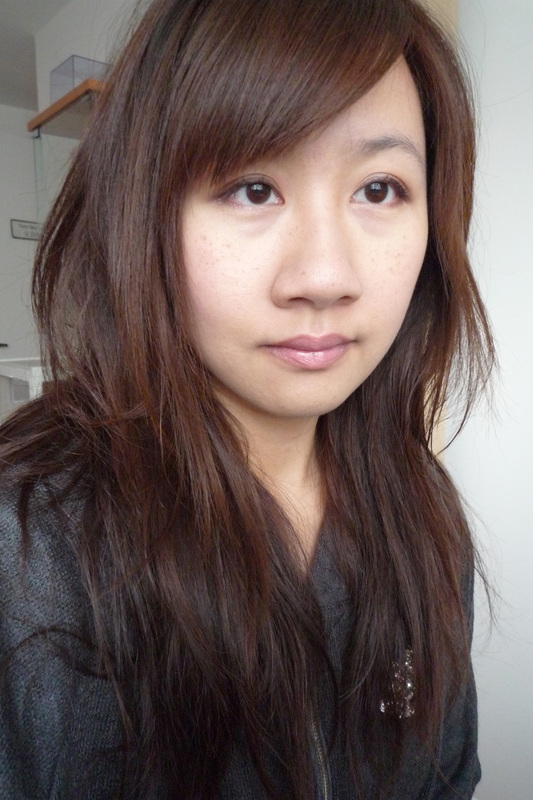 Although it wasn't a huge difference, I found that foundation application is a lot smoother and blends better now. It was worth the investment. Remember back in August when I went to Hong Kong, I purchased 2 Liese hair colors? Well, maybe I didn't post both up, but I did buy 2 because of my indecisive-ness. 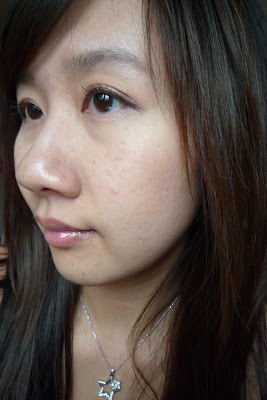 At the end of August, I used the Cassis Berry color ($68HKD), which didn't turn out as red as I wanted it to be... click here for the review, this time I used the Glossy Brown color. 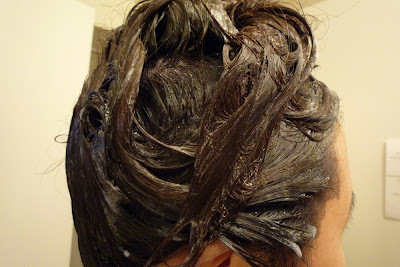 It's a pretty basic hair coloring kit, mix the stuff up and use the conditioner at the end. However, this time I forgot I wasn't supposed to shake the mix. For this foamy mix, you're supposed to gently tilt the bottle around, so the first few squeezes from the bottle came out too runny. Before shots in the bathroom and in front of the window. 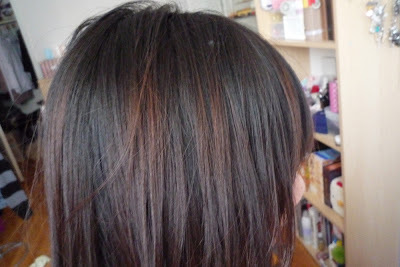 My hair has grown out so much since the last time I coloured. If you compare this with the review of the Cassis Berry, it doesn't look as foamy, partly because I shook it. The dye was so strange, it turn from a muddy red shade to a blueish shade. I left it in for 30 minutes. 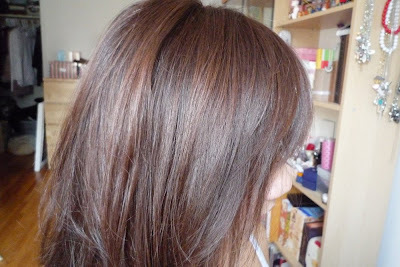 The result was a coffee brown with a touch of milk in it, it actually looked a bit yellowish in the light. However, it doesn't show up like that in the pictures. So much shinier now! The color came out a lot more even than the first time I used the foamy hair color. 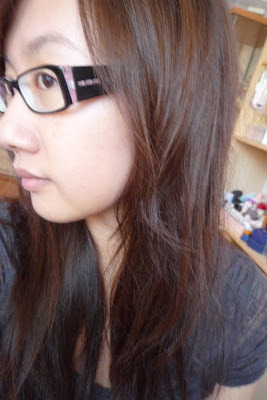 The next day, I washed my hair and the yellowness died down. Now it's more like a chocolate shade. 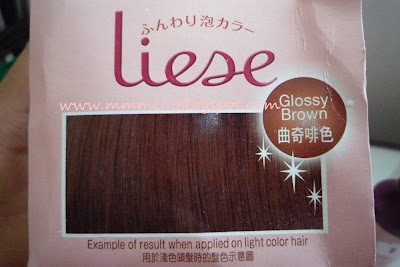 After using the Liese hair coloring kit 2 times, I doubt I'll repurchase it. 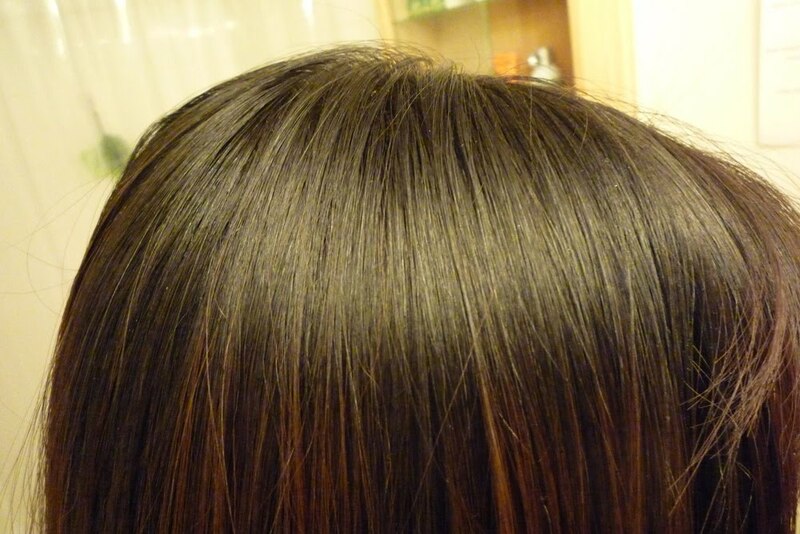 The color doesn't last very long and it's sometimes hard to get the bubbles down to the roots. But the good thing was, it didn't drip and it's a fun way of dying your hair. 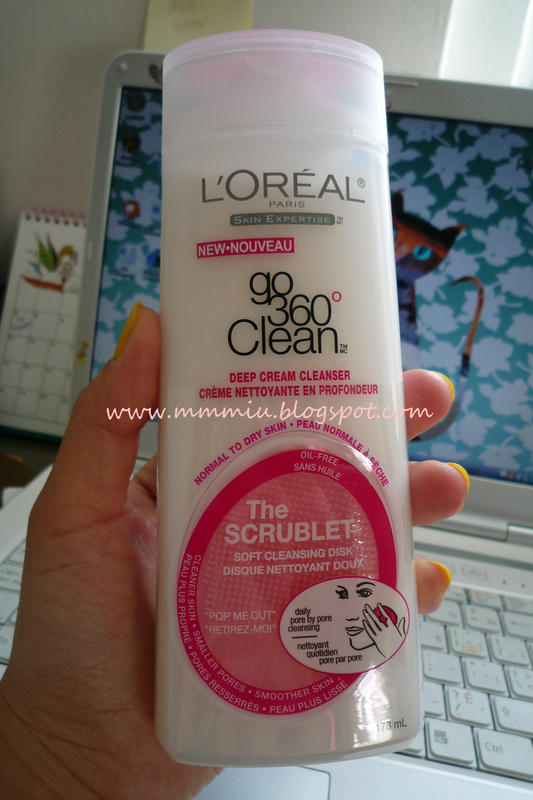 I started using the L'oreal cleanser but didn't use the scrublet thing because I had my Clarisonic. It was quite runny and I'm sad it doesn't foam up very well, at least not with the Clarisonic. It left my skin feeling clean without the dry squeaky feeling and it also had a mild tingly feeling. Only 7 more days of school and I can finally be certified to teach ESL yay! I'm so glad I'm done my practicum, there was so much involved for lesson planning just to get those good marks. 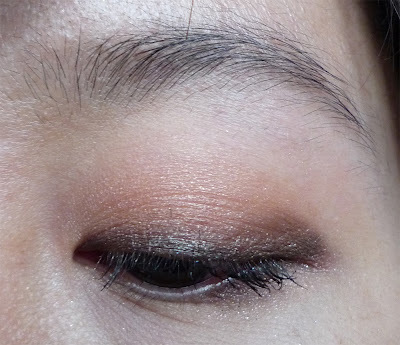 Now that I'm done for the day, here's an EOTD~! 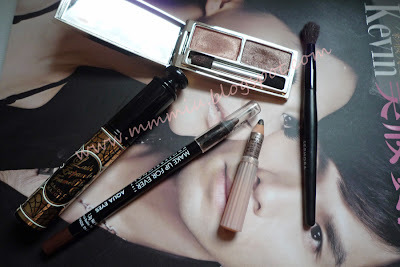 First using the orangey brown jelly shadow up to the crease by patting it on. It's a very strange shadow, not quite jelly and not quite powder, but has a powdery finish. 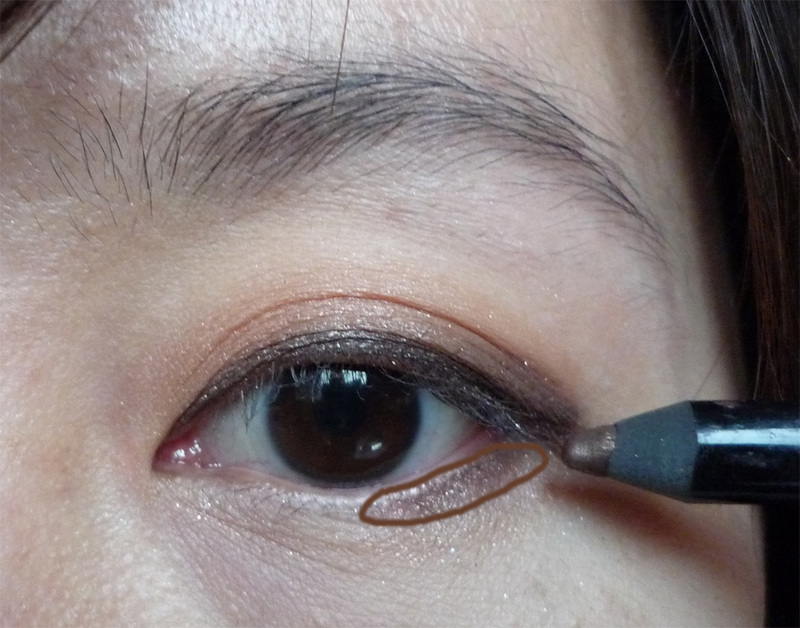 Line the eyes with black and lining on an upwards angle and extend it out slightly. I made sure to add extra liner on the outer corners for blending later. This part doesn't have to be perfect, as long as there's enough liner to blend upwards and make it smoky. 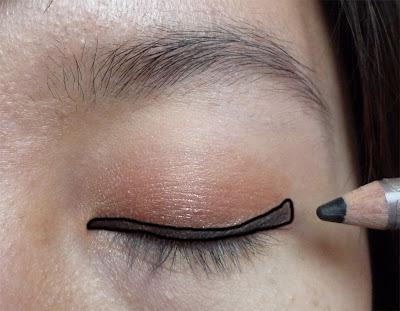 Using the brown shade, blend the liner up or until there's no visible line. I concentrated most of the color on the outer part and blended it in. 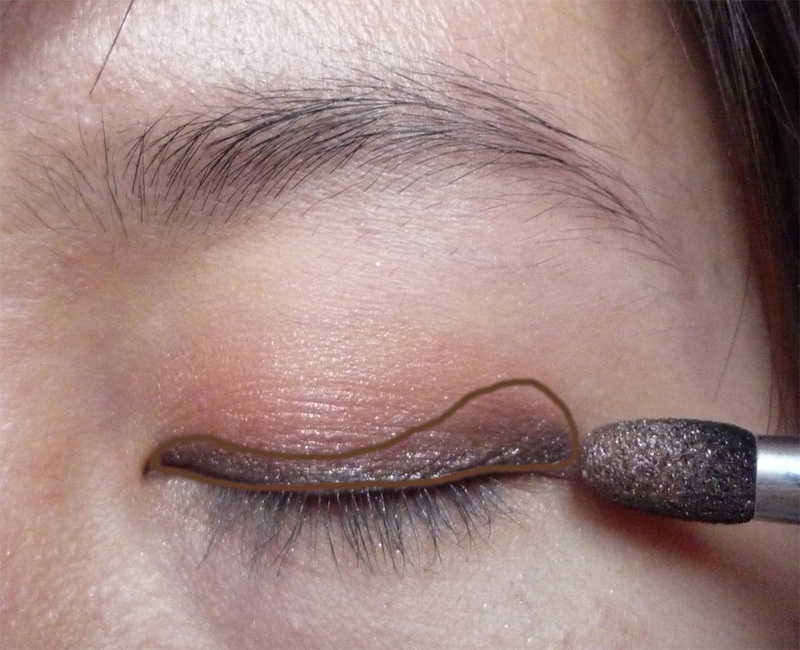 Line 1/3 of the way in with 2L and blend the brown shade on top. I decided to dust off the MM mascara. Haven't used it for a long time because it has a history of giving me racoon eyes sometimes. 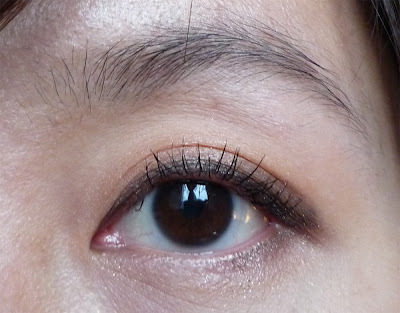 I wish I had more lower lashes to apply mascara too~! 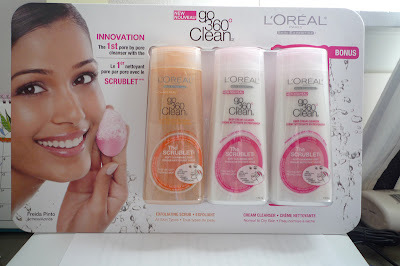 Before the B-liv update, for those who have access to Costco in the GTA area, there is a 3 pack of L'oreal G0 360 Clean face washes for $19.99!! Wal-mart sells them for $9 something each. I got mine at the Warden and Ellesmere location. 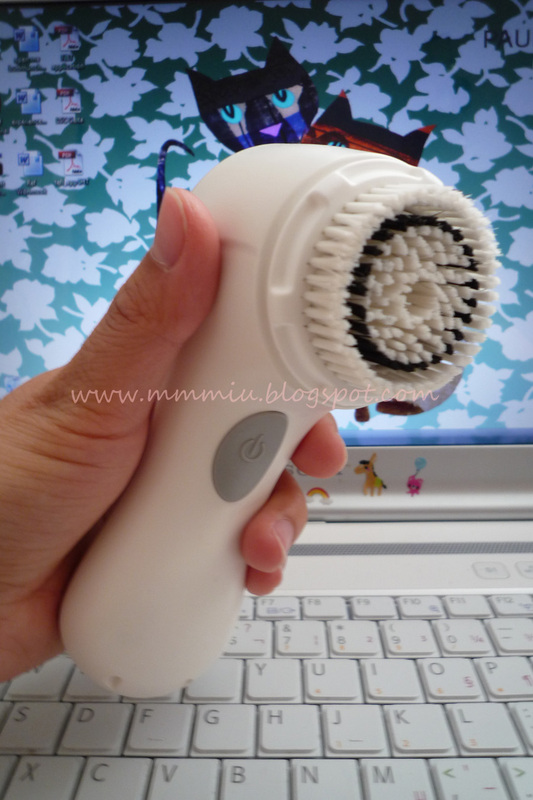 After 4 days of using only the B-liv products, I caved and went back to using the Clarisonic at night. 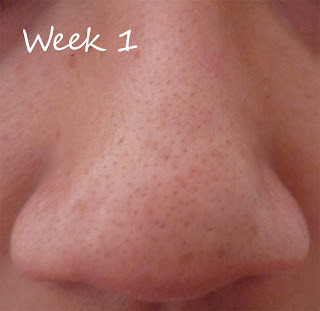 The facewash and serum didn't do a good job a keeping my pores clean and there were noticable white heads on my nose. I wasn't expecting a major change after a week. The Off With Those Heads serum didn't really make much of a difference besides making my nose look a bit smoother. Maybe it's because I started using the Clarisonic again at night. I used a different cleanser when washing my face at night. I didn't notice a huge difference for the face wash and moisturizer. However, I really liked the mask. I only use it on my nose area and after rinsing, the whiteheads were flushed out and sitting on top of my skin. This time, I used Naris Up egg shell peel to yank it out and it worked quite well. Again, not a big difference except for looking a little bit smoother. When I used the mask again, it did a good job at flushing out the crap from my pores. The bad part this week is the moisturizer was either drying out my skin or not moisturize enough. The area around my mouth started to get dry quickly so I had to use another moisturizer on top. 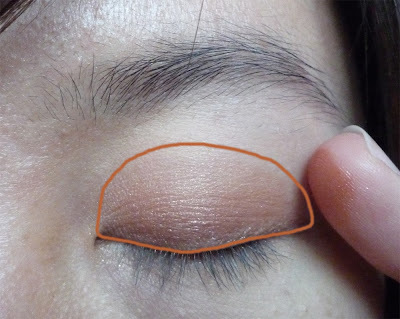 Also, the serum started to make my nose and the area between my brows flaky and dry. I don't think it's the Clarisonic's fault either since I've been using this way before trying these products. I had expected a lot out of these products, but sadly, it didn't work too well for me except for the mask (which I would recommend). Maybe in the summer when it gets humid, the moisturizer will be better for my skin. So for now, I have stopped using the products except for the mask and cleanser. No makeup today, too busy to even think about makeup, although I do have my update of B-liv ready..but I haven't edited the pictures yet. 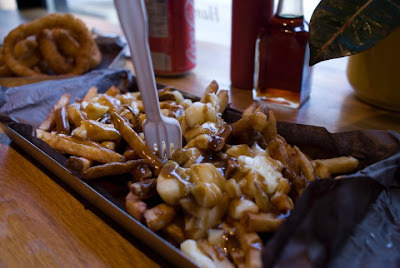 Tim and I have started a thing where we try to eat food according to Best Of Toronto on BlogTO. But with school and the lack of funds, we could only try so much at one time. I think we've found our favourite burger, onion rings and fries place at the moment. It's at a small burger place called Craft Burger. I thought I went to heaven and back after eating there. If you're in the Bloor & Yonge (right across the Toronto Reference Library) or King & Spadina area, this is THE place for the above mentioned foods. 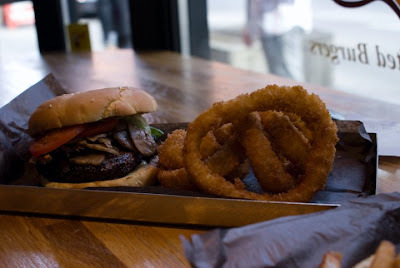 They were listed on BlogTO as one of the best new restaurants that serve the top burgers, fries and rings. It's a local joint that serves freshly made food to order and the people there are so nice. So far, I've only been there twice and I ordered the same thing: Craft Signature. It has rosemary garlic mayo, mushrooms, lettuce and tomatoes...I'm drooling just thinking about the mayo. The onion rings are so cripsy even after I finish eating the burger first. Yesterday, we opted for the poutine (which is also on the best of toronto list) instead of regular fries, something we didn't regret. The gravy is sweet and savoury at the same time with a hint of onion flavour. A walk after lunch is necessary...look at the size of that burger. Oh, just for the record, we had a total of 2 burgers, I don't think I would have shared mine with Tim, and we cleaned our plates. It's funny how some people couldn't finish theirs! For a price that's similar to say..Harvey's, I'd rather make the trip downtown to get something that tastes so much better. 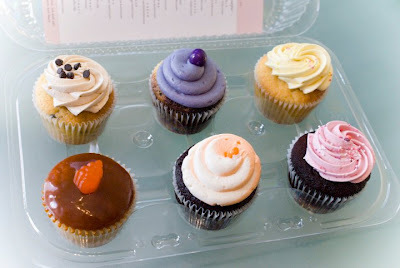 Last week while we were looking for another burger place near Yonge and Eglinton, we stumbled upon one of Toronto's best cupcakes at The Cupcake Shoppe. There are mixed reviews about these cupcakes, but I think they were pretty good..not really worth the $13/half dozen though.